I had no expectations of Poland, largely because I would never have elected it as a top holiday destination. However, we had come to Wroclaw for a weekend wedding, and I was glad to have an excuse to explore eastern Europe. So we arrived with no site-seeing plans, no expectations and were pleasantly surprised. Two things struck me in my brief time there. The first was a joyful accident. On the walk to our hotel in the inner ring of the old city, opposite St. Elizabeth’s church, we stumbled across two 20cm bronze gnomes about 100 meters apart. While similar to the garish garden gnomes that plague the patios of the tasteless in the UK, SA and even the Netherlands, these little metal creatures were both detailed and charming. 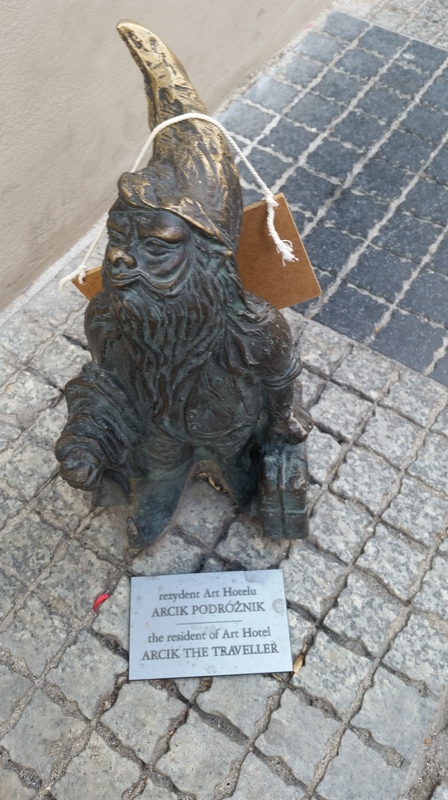 Each was strikingly different and bore a plaque and a sign – the first, “The Traveller” was placed in a side street, the second, a sleeping gnome was outside our hotel, like a mascot. After checking in, we decided to explore the streets nearby and stumbled across a few more gnomes – each with their own style and story. 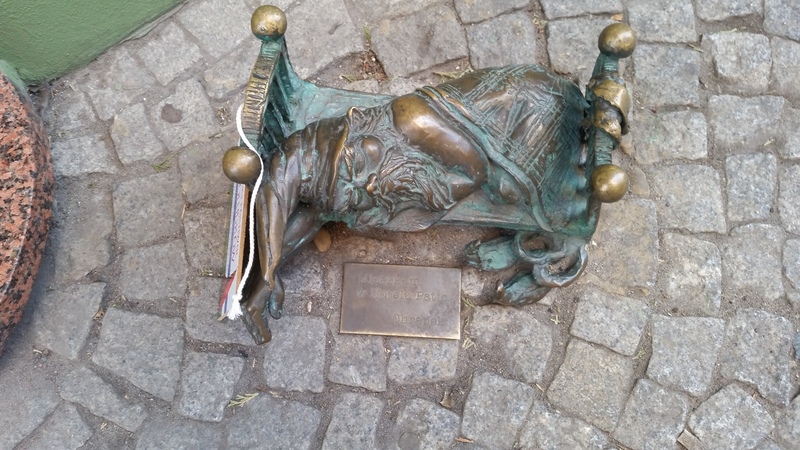 After that, without knowing anything about the bronze gnomes and why they were there, it became a game for us to try spot as many as possible during our walks in our limited time in Wroclaw. We werent disappointed – in a 5km radius, we found scores of them – veteren gnomes, disabled gnomes, pidgeon-riding gnomes, gnomes stealing wine by a pub, gnomes eating ice-cream outside the ice – cream palour, the banking gnome – some in places that suited their activity, others in the quirky locations that made spotting them feel like a treasure hunt: under statues, on ledges, on fountains, or pushing roadblocks.There were even a pair of bridal gnomes outside the wedding registry where we attended a wedding. Eventually my curiosity got the better of me , and I Googled it. According to Wikipedia, the Krasnoludki (dwarves, though I would argue gnomes) of Wroclaw started in 2001 with just a couple of statues. Since then, the city has taken this little mascot to its heart, and have created over 200! While we just stumbled on the idea, tourists can elect to do a walking route that takes them on a gnome safari. It is certainly an innovative way to explore a city for the young and young at heart, and will lead you to a variety of intriguing places. I found this utterly charming, particularly when taken in the context of the candy – coloured façades of the Market Square and the Gothic Architecture of the University and cathedral. 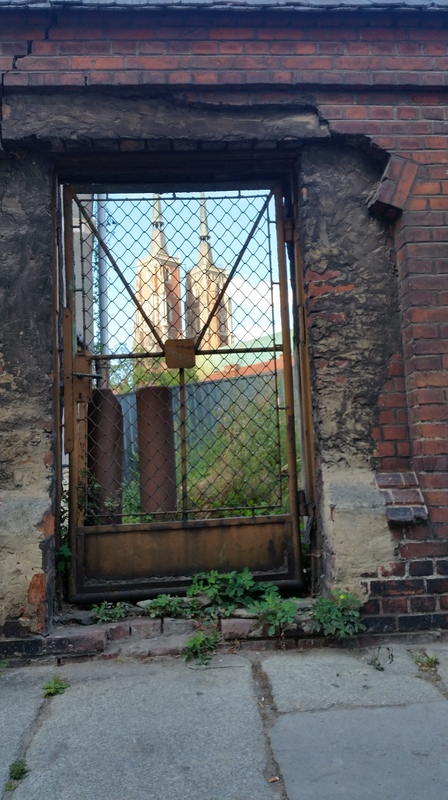 The 2nd striking aspect of Wroclaw is that it is a city under construction. You get the impression that it was once a prosperous city filled with grand gothic and classist architecture that fell to ruin (and bombed heavily in WWII) in the past 50 years and was replaced by utilitarian soviet style apartments, and is only now experiencing a reawakening. The result is a city that is one third derilect, a third restored and the rest is under construction. It is full of life and rejuvination. It is also a city of contrasts. Graphetti is scrawled along the majority of the buildings, exposed brick and peeling paint are common signs in this once (and perhaps soon-to-be) prosperous city. I personally would like to come back in 5 years, as I expect great things in store. The 2nd best beer in the world -honey and caramel. 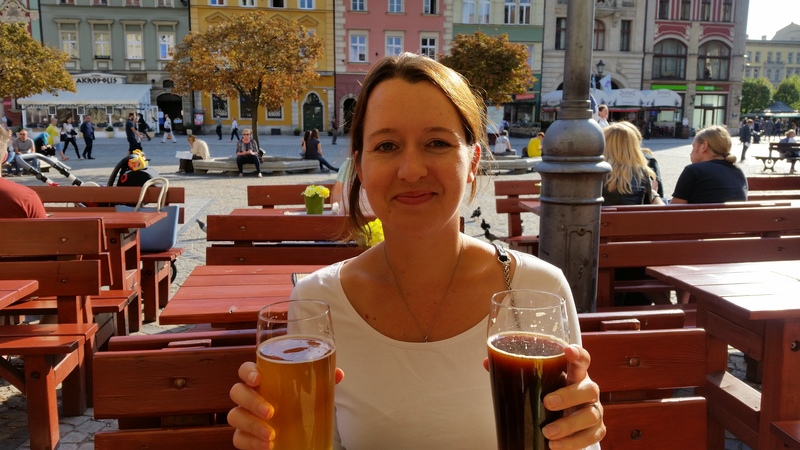 Another benefits of Poland: amazing beer (particularly at Spiz in Market Square) and hearty food (if you like pork and potatoes) at reasonable prices. At present it is 4.2 Zoloty to the Euro, which makes the prices seem far more reasonable for a South African tourist like me! In addition, the Botanical gardens is its own wonderland, where we were greeted by actors dressed in Victorian garb (corsets, parasols, top hats and tails) reciting Proust. 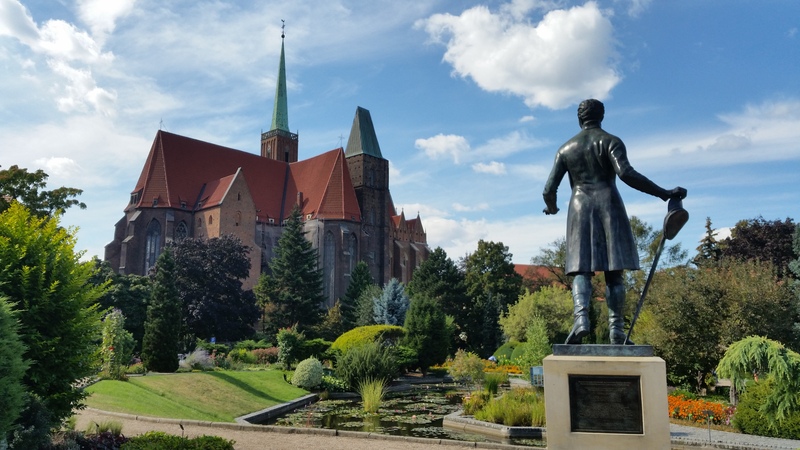 If you have time, Wroclaw is well worth a visit. This entry was posted in Uncategorized and tagged beer, Poland, Polish wedding, Wroclaw, Wroclaw dwarves, Wroclaw gnomes. Bookmark the permalink.